Life Will model Chantelle Brown-Young redefine what it means to be beautiful? Will model Chantelle Brown-Young redefine what it means to be beautiful? “Many people have a story or a background, but mine is painted on my body,” Chantelle Brown-Young says in the home-video plea she filmed earlier this year in order to appear on the current season of America’s Next Top Model. Although the 20-year-old Toronto native boasts all the trappings of a cover girl – lithe limbs, a gorgeous face – one aspect of her look is totally unexpected: Her dark skin is covered in white patches, almost like reverse Rorschach ink blots. 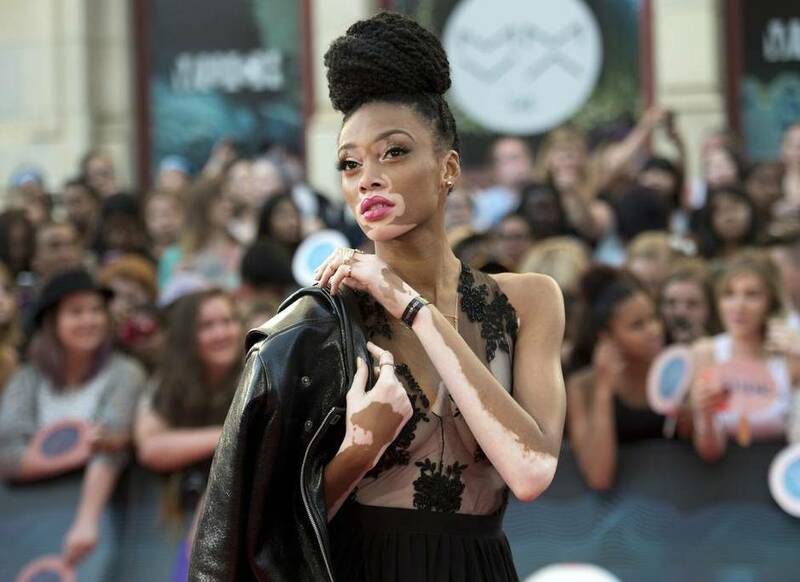 Brown-Young, who also goes by the handles Winnie Harlow and Chantelle Winnie, has vitiligo, a mysterious autoimmune disease that sees the body attack its own skin-pigment cells. She is also on the verge of a modelling breakthrough, her look reflecting both the changing definition of what is beautiful and the evolution of the fashion industry. “Diversity is the future of fashion,” says Ben Barry, an assistant professor at Ryerson University’s fashion school. Barry, who shuttered his own modelling agency in December, believes that Brown-Young is hitting the industry at the perfect time. No matter who you are, you have quirks. I highlight the fact that being different is okay, which speaks to everyone. Growing up, Chantelle Brown-Young recalls, she was bullied and called names such as ‘zebra’ and ‘cow’ and didn’t consider herself beautiful. ‘There’s no Barbie with vitiligo,’ she says. He might be right. Bolstered by her participation in (and subsequent elimination from) ANTM, she has walked down the runway during September’s London Fashion Week, been signed to front a major ad campaign and amassed a strong social-media base – more than 258,000 Instagram followers and counting. Such praise wasn’t always so forthcoming. Growing up, Brown-Young recalls, she was bullied and called names such as “zebra” and “cow” and didn’t consider herself beautiful. “There’s no Barbie with vitiligo,” she says in a phone interview from L.A. What was once demeaned and ridiculed, though, is now considered striking: Brown-Young bears a slight resemblance to Rihanna and the white portions of her skin having a near-perfect symmetry. “No matter who you are, you have quirks. I highlight the fact that being different is okay, which speaks to everyone, no matter who you are,” she says. Brown-Young’s distinctive looks and relentless optimism were perfectly suited to Tyra Banks’s brand of reality television. “We are not looking for duplications,” Banks stated on the season opener of ANTM. “We are looking for originality.” The fashion industry, at least over the past several years, appears to have been seeking the same thing. Montrealer Rick Genest, a.k.a. Zombie Boy, became an unlikely style darling in 2011; covered head-to-toe in tattoos that make him look like a human skeleton, he starred in Mugler ad campaigns and modelled for Jay Z’s label Rocawear. Americans Aimee Mullins (an athlete and double amputee) and Shaun Ross (an albino male model) are also fashion-world hits. But their success is not the norm. When Barry began working in the industry 15 years ago, other agents were often unwilling to take on clients other than ultra-thin, ultra-tall white women. “But if you look at boards at major agencies now, you’ll see more diversity represented, and a lot of new agencies in the past five years have begun specifically to represent diversity.” With a fan base already established and an ad campaign under her belt, Brown-Young, he adds, should have no trouble attracting an agent.